In practice as well as on-line, we strive for excellence through superior Chiropractic patient treatment, education, and satisfaction. We have a "No Wait Policy", so all of our patients are seen immediately. Polson Family Chiropractic is known for it`s friendly and courteous staff and professional but comfortable atmosphere. 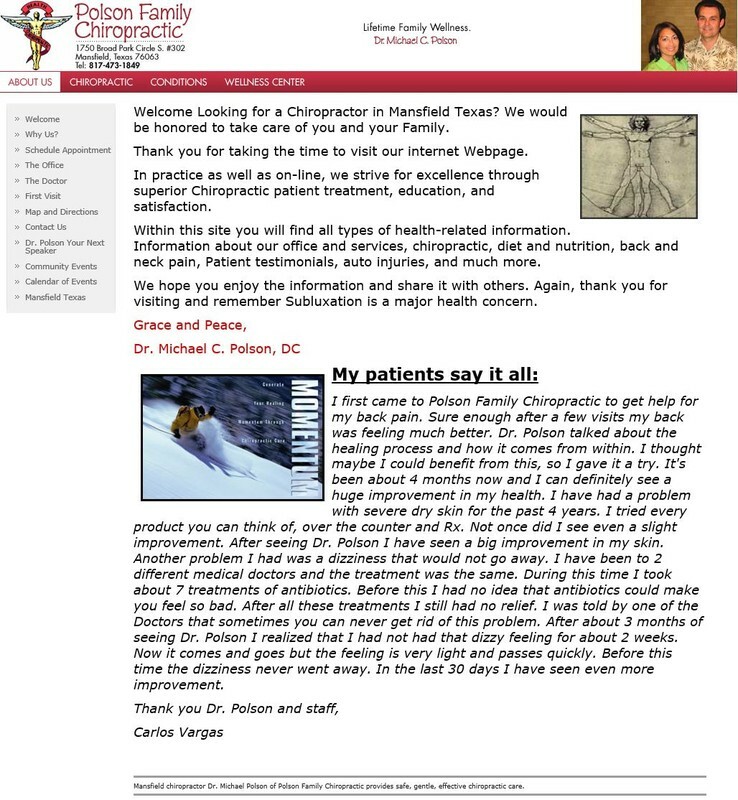 Visit our site to see what our patients have to say!